The clinical research took place at the hospital by Medical University in Hanoi in Vietnam. Study on feature of knee osteoarthritis and assessmenr on effectiveness of oral hyaluronic acid in knee osteoarthritis treatment for elderly with diabetes. Scientific Instructor: MD., PHD., ASSOCIATE PROF. PHẠM THẮNG, Director of Vietnamese Hospital for Gerontology. The following study was conducted using of a dietary supplement called DuoVital, manufactured by Gramme-Revit GmbH. DuoVital is a dietary supplement containing hyaluronic acid and chondroitin. The trade name Duo-Vital is the trademark of the product used on Asian markets. Product HYALUTIDIN HC Aktiv is the trade name valid for the Polish, Ireland, United Kingdom, Slovakia, The Czech Republic, France, Finland and USA markets. Both products have the same chemical composition. 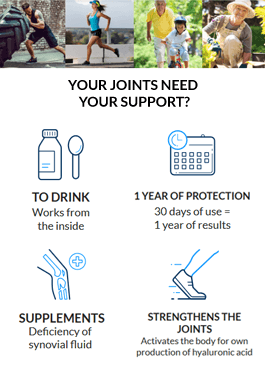 Currently the use of HA by injection directly into joints is common in the health facilities with high technology and brought initial good results. Joint injections can only supplement HA to the injected joints while most of the cases reported were pain in multiple joints simultaneously. Furthermore, injections to joints only can be carried out by specialized medical staff of Musculoskeletal Faculty and in sterile room with full of medical equipment, whereas risk of strokes and infection can occur. Nowadays thanks to the development of scientific technology, HA is manufactured in oral form. In this form, HA is used as a nutrient and directly absorbed through the gastrointestinal tract then released into the bloodstream and delivered throughout the body. Thus, the use of oral HA is convenient, easy to use and can be widely applied to joints than joint injection. HA in order to increaseH A in synovial fluid, HA and chondroitin supports each other in the protecting and providing nutrients to the cartilage. In this combination chondroitin can act better than a single type to cartilage. Table 3.1: Distribution Of Diabetic Patients by age. The prevalence of having knee OA in elderly diabetic patients 90,4% in our study. Thus, we found that the prevalence of having knee OA in diabetes patients ( over 50 years old ) have statistical significance higher than the rate of OA in elderly general. Table 3.4: The relationship between knee OA and gender in diabetes patients. It is better to take radiographic image of knee in patients with diabetes > 50 years old for guidance on consistent training regimen for each patient. Both osteoarthritis and diabetes are characterized by the same risk factors: age and weight. Osteoarthritis is not a cause of diabetes, and vice versa, however, diabetics suffering from joint pain due to passive lifestyle and obesity have great difficulty in maintaining normal sugar levels. Therefore, the likelihood of simultaneous occurrence of both diseases increases in the obese and the elderly.